More than 95 percent of the world’s supply of Bourbon is produced in Kentucky. So no matter where you go, there are plenty of places to find, purchase, sip, and explore the very best of America’s native spirit. 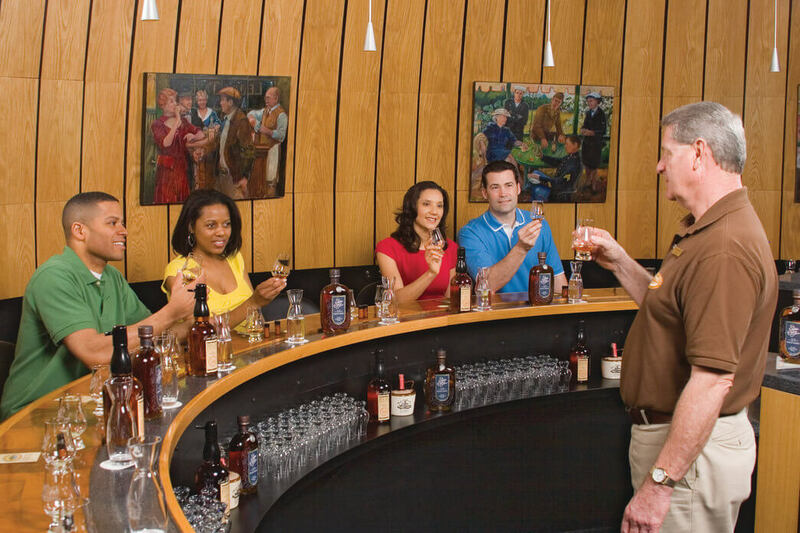 Of course, with so much culture anchored by the spirits industry in the Bluegrass state, you may find yourself squeezing two or three Bourbon experiences into a single afternoon. And when that happens, you just might find yourself moving a bit slower the following morning. So the next time distillery adventures zap your energy reserves, try some of these go-to tips and tricks to find the perfect cure. Carbs aren’t just for athletes anymore. When you’re feeling a little less than stellar, get your groove back with an old-fashioned carbohydrate overload. Treat yourself to a plate of restorative, stick-to-your-ribs fare at hometown favorite Mammy’s Kitchen. This place is an institution in downtown Bardstown, and is best known for serving up Southern comfort classics like Bourbon-infused pork chops and savory eggs Benedict. Need a little more fried in your food? Head on over to Kurtz Restaurant, where it’s said they serve the best skillet-fried chicken anywhere in Kentucky. Don your favorite pair of oversized sunglasses and check out My Old Kentucky Home State Park and take a stroll through the grounds that inspired Stephen Foster to compose one of America’s most famous melodies. Between the sunshine, ancient maples, and colossal magnolias, this little slice of heaven will undoubtedly buoy your spirit and put some pep back in your step. If you’re feeling super motivated, try sweating out some of those leftover toxins on the My Old Kentucky Home Running Tour. This 5-km (3.1 miles) loop through Bardstown is packed with historical landmarks, breathtaking countryside, and beautiful architecture. Plus, it ends with a donut pit stop at Hadorn’s Bakery. But if 3 miles isn’t much of a workout for you, head for one of the trails in Bernheim Arboretum and Research Forest. Located just a few minutes from downtown Bardstown, the 15,625-acre arboretum has more than 40 miles of pathway made for running and hiking. Sometimes shopping is the best way to find the perfect pick-me-up. Luckily, Bardstown is chock-full of adorable little shops, antique stores, and Southern-style boutiques that’ll make you feel brand new in as little as one tiny trinket. Hunt for vintage treasures at Nettie Jarvis Antiques, which is always loaded with unique collectibles from the 18th and 19th centuries. Or refresh your wardrobe with something fashionable and fun from Three Chicks Antiques & More. Sometimes you just need a cold beer! Head on over to 3rd Street Tap House and pick out a cold, carbonated one from more than 30 different craft beers and an awesome menu with pub-style, tummy-taming food. When in doubt, go back to Bourbon! Because just like the old saying goes, “When in Bardstown, do as the Bourbon Lovers do!” And get thee to a Bourbon distillery! For more ideas of what to do when you visit Bardstown, get a copy of our Official Visitors Guide HERE.